Our Lextek Battery Optimiser is not just a battery charger, it can recover deeply discharged batteries and bring them back to life. It will charge and maintain a battery to keep it in a serviceable condition for longer. 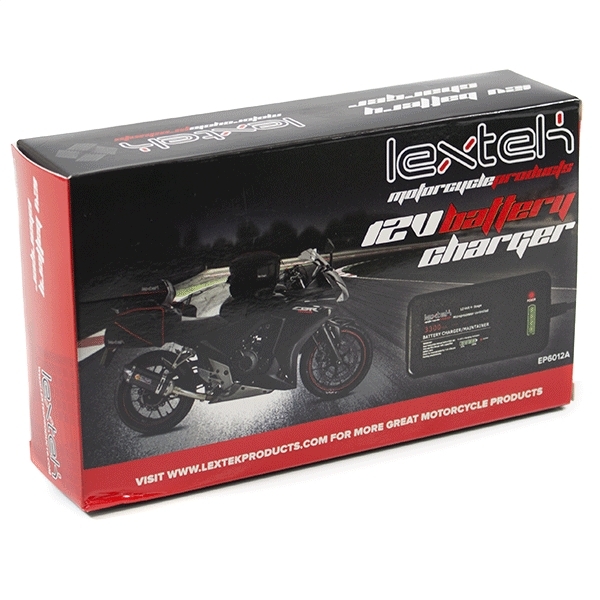 The charger is compatible with 12-volt batteries between 2.5AH and 30AH and can be used on Acid, Gel and MF battery types. 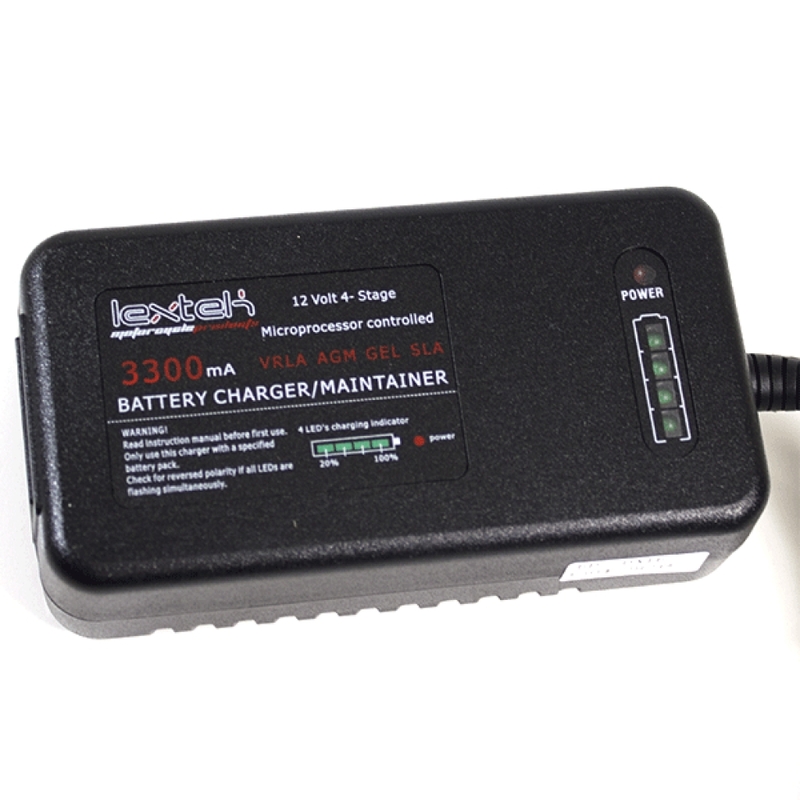 This charger is not compatible with Lithium batteries unless specifically stated on the Lithium battery that a lead acid battery charger can be used. 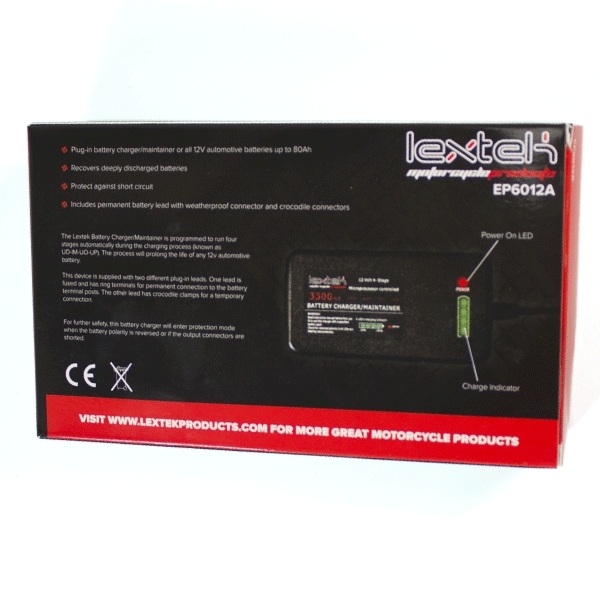 Our Lextek Battery Optimiser is supplied with both clips and ring terminals; the ring terminals allow for bikes that get used occasionally or are in long-term storage to be plugged in and the battery maintained ready for when you want to ride your bike. The green indicator LEDs give a clear picture of the state of charge of a battery. Please read the instruction manual before using for the first time. 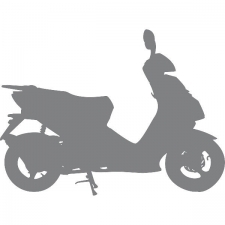 Quickly charges battery at 600mA/hour until full and maintains a gentle trickle charge to keep battery optimised. 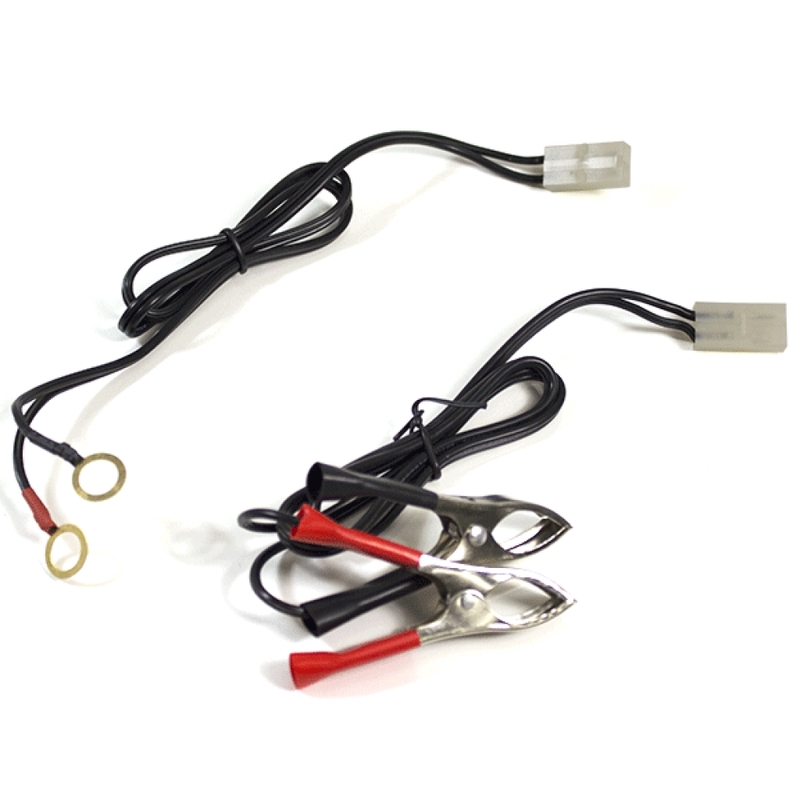 Plug in battery care for 12V batteries. Suitable for all 12V battery types up to 30Ah including: Gel, MF and acid batteries. Quick charge and battery recovery, optimization and maintenance, helping to assess the overall condition of a battery. Option to clip-on using the supplied crocodile clips, or in my case, wire up a plug to the battery and just connect when I need to. Excellent product, and fantastic price. 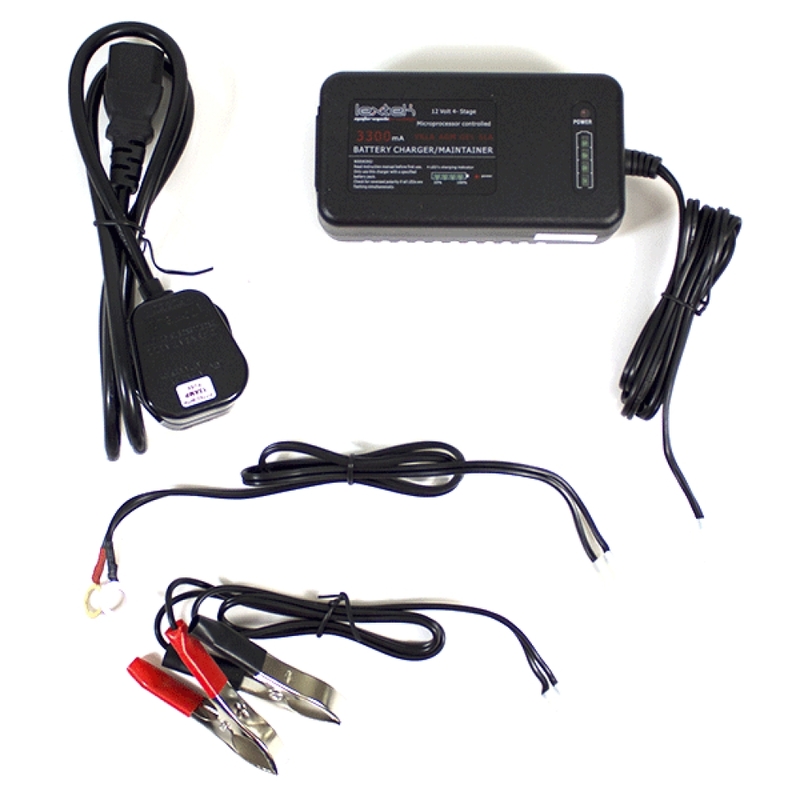 The charger is a very good product really compact & you receive 2 sets of leads one for permanent & one for quick charging . great product . Exactly as described. Does the job. Would recommend. great quality all in one charger optimiser, not seen this anywhere else & reasonably priced.